El Real Sitio de San Ildefonso is a little village in the province of Segovia (10 km to the capital city), only 1 hour away of Madrid. It is well know by the Royal Palace of the XVIII century and their gardens, called La Granja, and by the Royal Glass Factory. La Granja is in a natural setting: in the north slope of the Guadarrama Sierra, very near of Navacerrada port and surrounded by the Valsaín pinewood. 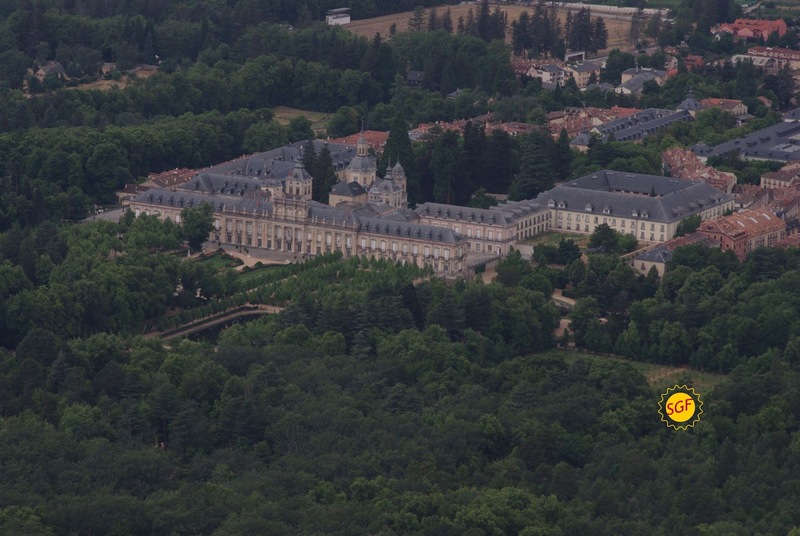 All of these tourist attractions took us to spend a weekend in La Granja. We stayed at the Parador de Turismo de La Granja. 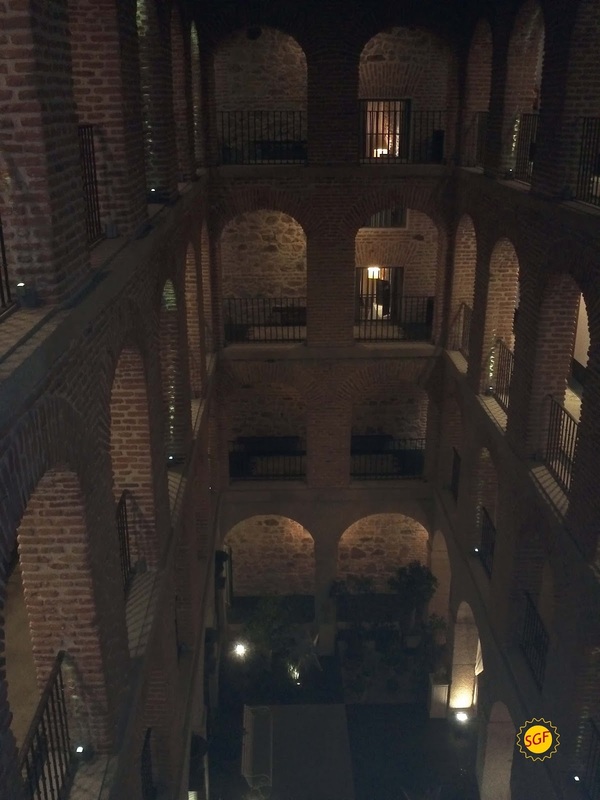 I have written about Paradores de Turismo before, they are high quality hotels, mostly located in former historical buildings. This Parador is in the Casa de los Infantes, in the village of San Ildefonso. It is a very quiet and nice building and the rooms are comfortable. It has swimming pool and a spa zone. In terms of gluten free meal, the breakfast-buffet is very complete. There are specific gluten-free products: bread, muffins and marmalade, but to my view, the most significant point is the wide variety and quality of their naturally gluten-free food: eggs, ham, cheese, omelet, yogurt, juices, fruits, nuts… you will not be hungry. The restaurant of the Parador (Puerta de la Reina) has several gluten-free dishes in its menu as well. 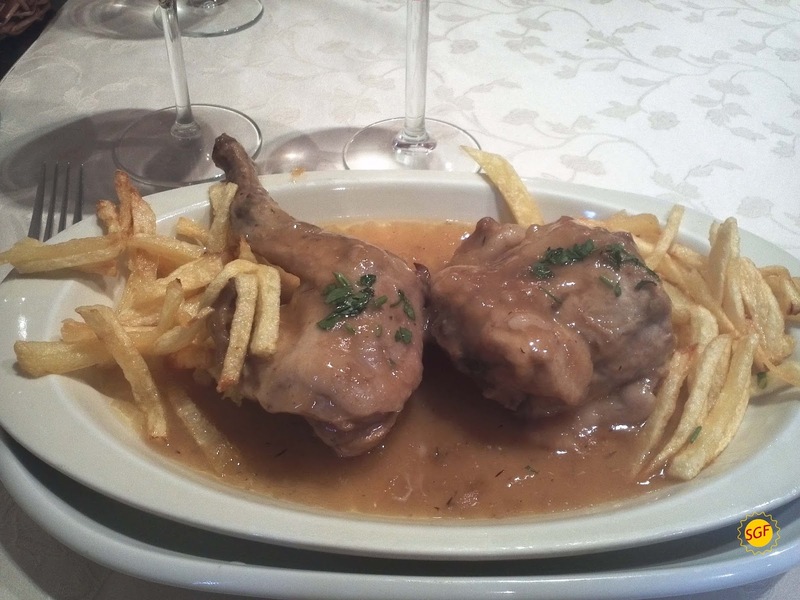 We also went to a traditional restaurant of San Ildefonso: Casa Zaca at 6, Embajadores st. 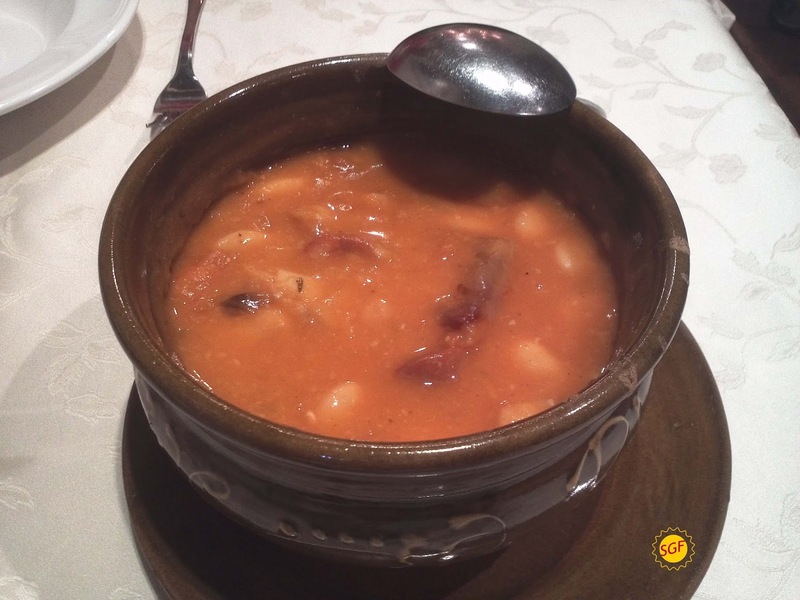 There you can have typical dishes of La Granja, like the big beans (judiones), which sauce is made of corn flour, so we can eat them. The waiters know the celiac disease and they can tell us what we can and can not eat from the menu. I had judiones as starter and lemon rabbit as main course and they were delicious. If you are visiting the city of Segovia too and you want to taste the typical cochinillo (piglet) you must visit the restaurant California at 5, Doctor Gila square. I was there before my diagnosis and I ate very very well and value for money. Recently, I read that they serve gluten-free bread and they know about the gluten-free diet. I just came across this review! I run a Gluten Free Travel website and was hoping that you may allow me to share this review with other Gluten Free travellers? I will happily link back with credit and subscribe for future updates. Hi, I would love it! I usually read your website and I like it very much, so it would be a pleasure for me. Thank you! Hola, We have been checking out your blog and we must say that we are very impressed. It's really great. Thank you very much for your words. I have visited your site and it is amazing, a lot of information there! What a full article about Segovia and Spain! !, I will follow you for sure. Pues voy al parador de la granja asi que seguire tus pasos.